TORONTO — The federal and Ontario governments are set to square off in the province's top court this week over Ottawa's climate change law in a fight experts say is as much political and ideological as it is legal. Ontario's Progressive Conservative government under Premier Doug Ford — supported by like-minded premiers in Manitoba, Saskatchewan and New Brunswick — has denounced the Greenhouse Gas Pollution Pricing Act as an illegal tax grab that will force up the price of gasoline and heating fuel. "References are as often pursued for political ends as they are for legal ones," Mathen said. "This is definitely a case where the province is using its power to ask the courts for advice in a way that really allows it to frame a particular message." 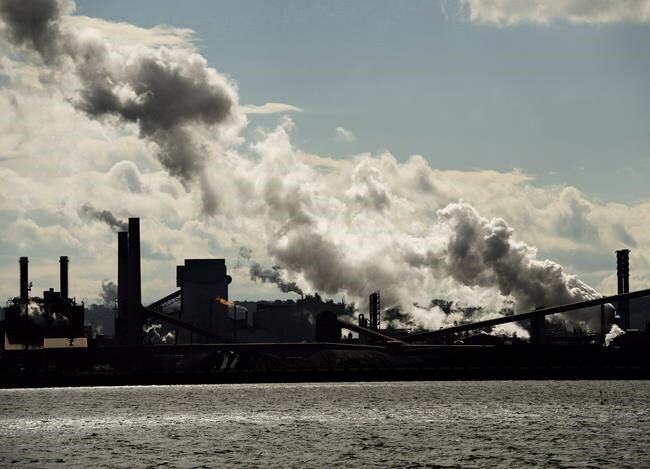 In essence, Ontario argues Ottawa is intruding on provincial jurisdiction by trying to regulate the "nearly limitless swath of human activity" that produces climate-changing pollution. "The provinces are capable of regulating greenhouse gas emissions themselves," Ontario argues in its court filings. "There is no need to expand the scope of federal jurisdiction to impose a one-size-fits-all federal carbon price." For its part, the federal government insists it is responding appropriately to an issue of national concern — climate change. The legislation, the government says, aims to "fill in the gaps" where provincial measures aren't up to snuff. Putting a price on carbon, Ottawa asserts, is widely recognized as an "effective and essential measure" to encourage behavioural changes needed to reduce global-warming emissions. The money raised from what it characterizes as a legitimate fee will flow back to the jurisdiction where it was collected, Ottawa says. "The carbon tax is the worst tax ever. Bar none," Ford has said. "The carbon tax will make no difference to the environment." David Estrin, a veteran environmental law specialist at Osgoode Hall Law School, said Ford is using judges as a "political gambit." The federal law, he said, applies in Ontario only because Ford scrapped the provincial carbon strategy that was in place under the previous government, launched the court challenge, and now seeks to impose what amounts to his own levy on big polluters. "It's definitely ideological," Estrin said. "He's done a complete flip-flop since he launched this challenge. It's Ford that's doing this for purely nonsensical, illogical reasons that don't make any economic sense." "Global climate change is an urgent threat to humanity," the federal government says in its filing. The view is echoed by Ontario, which "agrees with Canada that climate change is real and that human activities are a major cause," while New Brunswick says: "This reference should not be a forum for those who deny climate change."